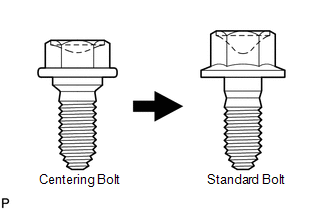 Centering bolts are used to mount the hood hinge and hood lock. 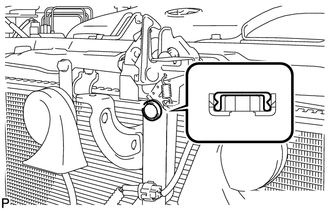 The hood and hood lock cannot be adjusted with the centering bolts installed. Substitute the centering bolts with standard bolts when making adjustments. 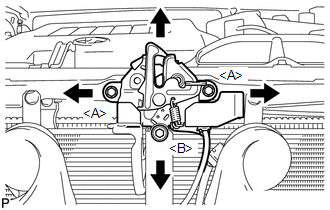 (a) Horizontally and vertically adjust the hood. 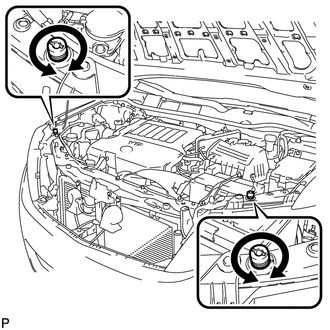 (1) Loosen the 4 hinge bolts of the hood. (2) Adjust the clearance between the hood and front fender by moving the hood. 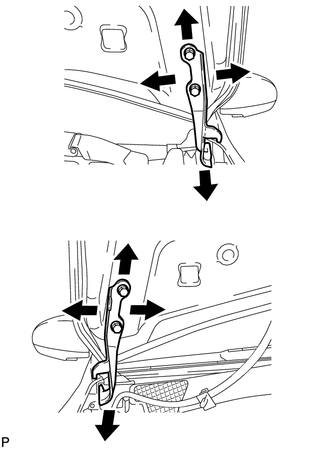 (3) Tighten the 4 hinge bolts after the adjustment. (b) Adjust the height of the front end of the hood using the cushion rubbers. (1) Adjust the 2 cushion rubbers so that the heights of the hood and fender are aligned. Raise or lower the front end of the hood by turning the 2 cushion rubbers. (c) Adjust the hood lock. 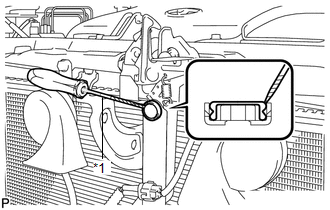 (1) Using a screwdriver, remove the hood lock nut cap. (2) Loosen the 3 bolts. (3) Tighten the bolts after the adjustment. (4) Check that the striker can engage with the hood lock smoothly. (d) Install a new hood lock nut cap.